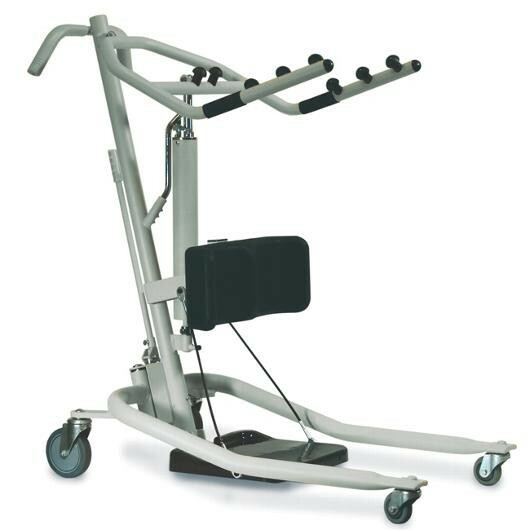 Hydraulic stand-up lift is the answer to your patient transfer needs. 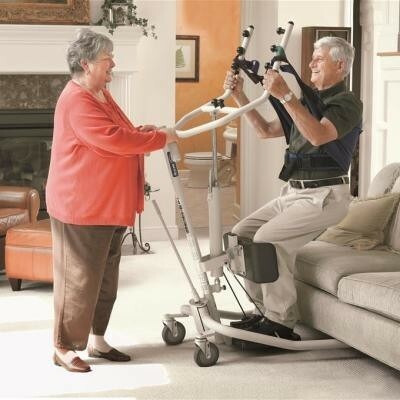 The hydraulic stand-up lift helps ensure caregiver security and patient peace of mind. 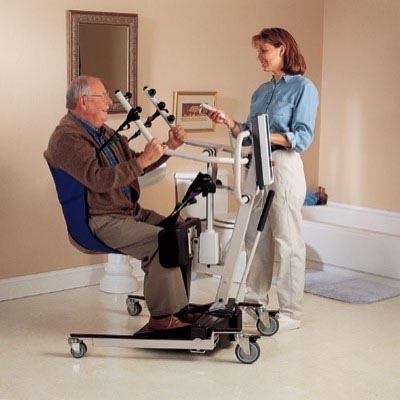 Ideal for use with partial weight-bearing patients as well as those needing rehabilitation support, the stand-up lift offers safety, comfort and stability. All our rental equipment is either brand new or in a good condition, thoroughly cleaned and sanitized after every rental. 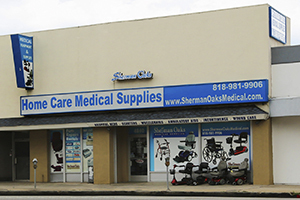 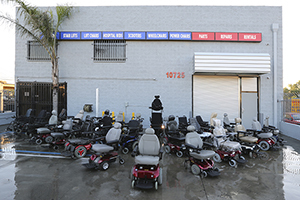 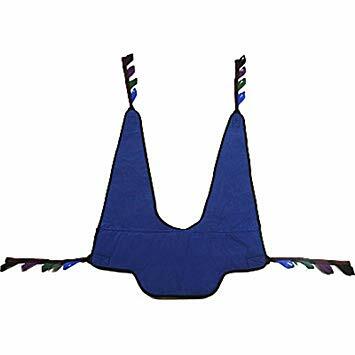 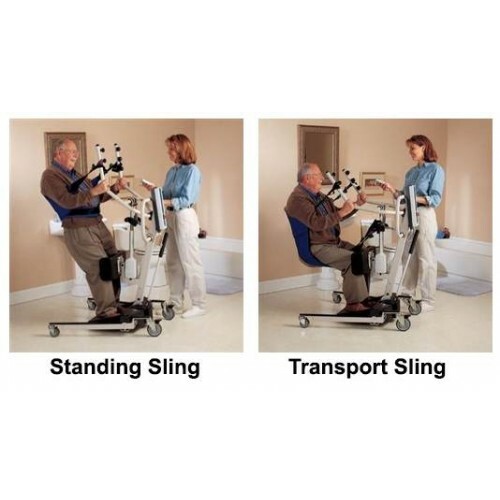 Choose between standing sling or seated transfer sling for your patient lift rental. 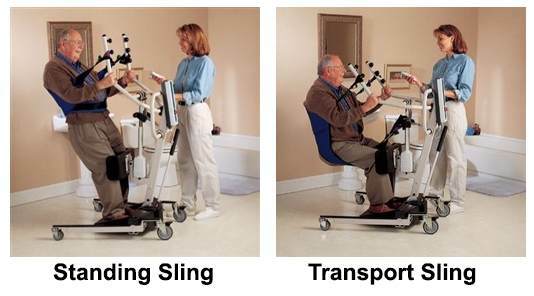 Can help transfer from bed to chair or chair to bed. 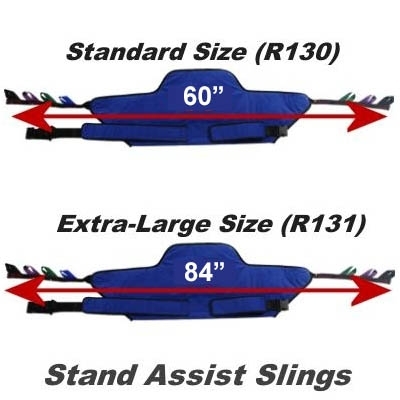 Product Weight about 90 lbs.